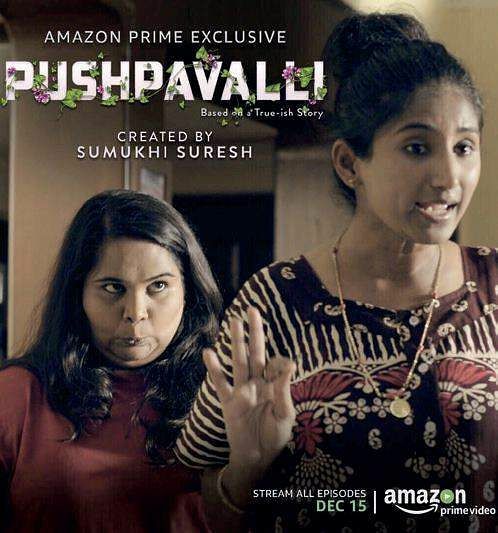 Comedienne Sumukhi Suresh’s web series Pushpavalli has managed to touch the right chord. Netizens have gone gaga over the show and of course over Sumukhi’s performance. BENGALURU : Comedienne Sumukhi Suresh’s web series Pushpavalli has managed to touch the right chord. Netizens have gone gaga over the show and of course over Sumukhi’s performance. But, there is another woman in the show who actually takes the cake – Bengaluru girl Shraddha aka Vasu- the PG owner. Vasu is the worst PG owner to encounter in a city like Bengaluru. She breaks legs for love, she runs behind a pervert with a hockey stick, she takes money for food and room but PG girls are often seen ordering food from outside. And her Kannada is definitely a treat to your ears! During an exclusive chat with City Express, Shraddha opens up about Pushpavalli, playing Vasu and more. “I wasn’t told that I would be playing Vasu. I was sent a few lines and then was asked to come to the sets. When I went, they just gave me my costume and my lines and told me to face the camera. There was no time for preparation and that I believe wwd in my favour. If I was told to practice or rehearse my lines, I may have gone overboard and overacted. This is straight from the heart,” Shraddha says. “Sumukhi gave that space where I could give a lot of inputs and this boosted my confidence. There is so much learn from her and other crewmembers. Pushpavalli was an amazing experience,” she adds. An entire episode in the series is dedicated for mensuration, PCOD and other women-related issues, untouched by many. Shraddha says the issues weren’t forced into the script rather was a part of the script. “Which women’s PG doesn’t face the issues shown in the series? The topic blended so well that we need not had to forcefully put it into the script. It just goes with the flow. Also, these issues is something people like me and you will face every other day,” she adds. When asked if Pushpavalli paid her the deposit money, she throws up her hands and giggles. “No! And guess what, I will be two-times crazy if she doesn’t pay me deposit in the second season, if there is one,” she says and laughs. Bengaluru used to wake-up to Shraddh’a voice when she was an RJ. But since she has now taken a break, Pushpavalli comes as a bonanza for her fans. Shot in Bengaluru, Pushpavalli revolves around protagonist moving cities to stalk a man. The comic series takes a U-turn when the lead actress fails to choose between right and wrong.